People who use NJ Transit, LIRR and Amtrak to get into New York City will have to deal with months-long repairs from January until May, although they shouldn't be as impactful as the repairs last summer. Ida Siegal reports. 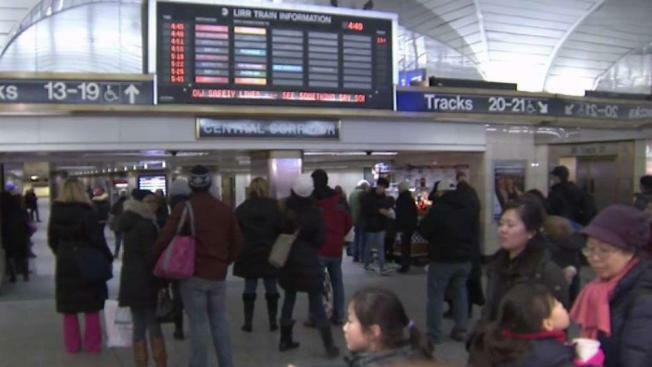 Train commuters into New York are bracing for a second round of track repairs at Penn Station that will cause the cancellation of some trains and the re-routing of others. The schedule changes beginning Monday won't be as significant as during last year's so-called "Summer of Hell," but will last longer -- until late May. Beginning Monday, New Jersey Transit will terminate and originate one morning and one evening train at Hoboken and one in each period at Newark Penn Station. One evening outbound train will be cancelled. More at NJTransit.com. The Long Island Rail Road says it will reroute five morning and three evening trains to accommodate the work. To compensate, the LIRR will add two post-rush hour trains in the morning and three in the evening. More at MTA.info. Amtrak also is making changes including cancelling two trains between New York and Washington D.C. More at Amtrak.com.